The Umayyads made a Muslim dynasty in Spain in the eighth century. Muslims, Jews, and Christians lived together peacefully. But in North Iberia, Christians started to take over Muslim land while the Umayyad dynasty broke up. Christians started to gain more and more land from Muslims. 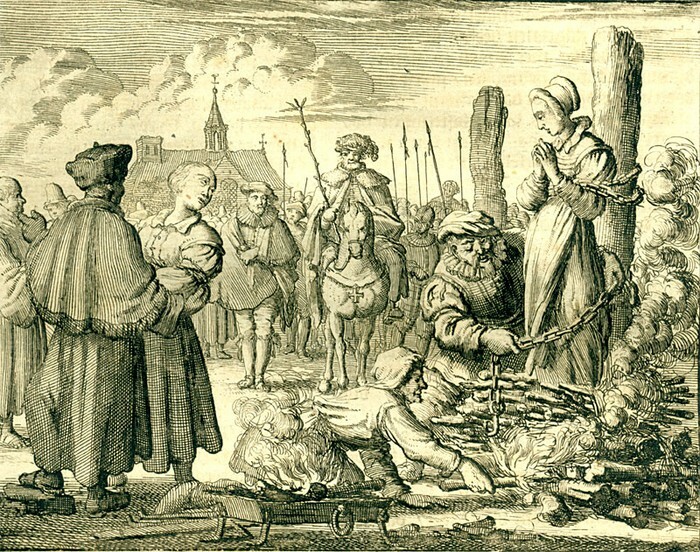 Inquisition, started by Queen Isabella and King Ferdinand in the 1400s, was a church court against Muslims and Jews who converted to Christianity to turn Spain into a Catholic country. The court was harsh. 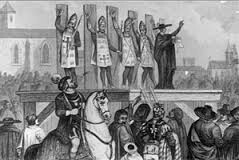 The judges, called inquisters, used torture to find if the people that converted to Christianity still secretly followed their old religion. 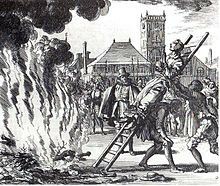 In the results, thousands of people were burned at stake. 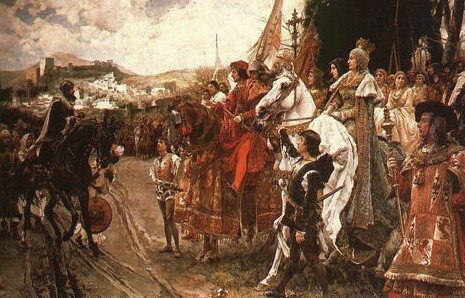 Isabella and Ferdinand sent armies to remaining Muslim land in 1492. The Christians won the land, and Muslims didn't have any more land. Also, Jews were told to become Catholic or leave. 170,000 Jews left and never returned. Muslims that remained in Spain were forced to become Catholic.